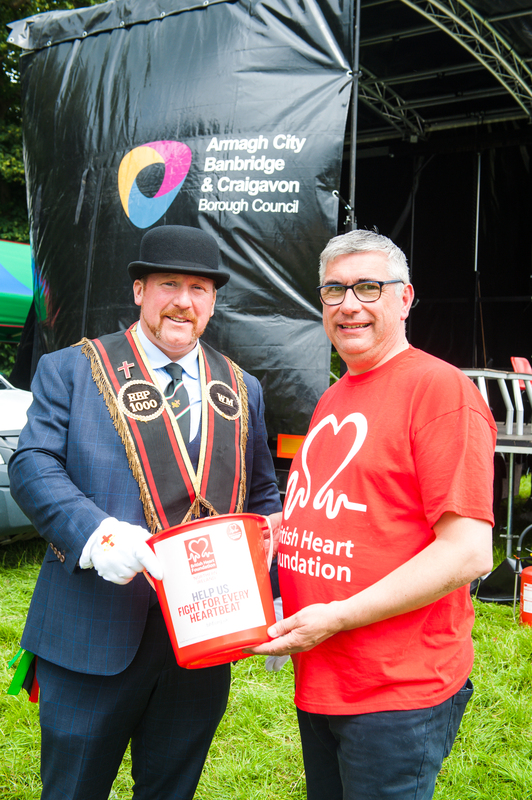 The annual Sham Fight is recognised as a unique cultural event, with upwards of 100,000 people expected in Scarva on Friday, July 13. The small and quaint Co Down village has become renowned for hosting the biggest one-day event, at a single location, anywhere in the Province. 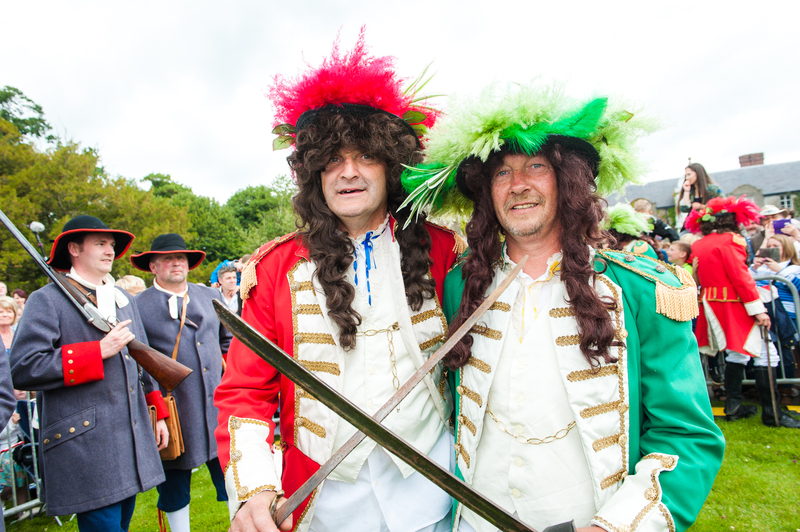 The annual clash between King William and King James and the large-scale procession through Scarva – hosted by Sir Knight Alfred Buller Memorial RBP 1000 – is now firmly established as a major tourist attraction. Sovereign Grand Master of the Royal Black Institution, Rev William Anderson, is looking forward to his first Sham Fight as recently installed leader of the Loyal Order. 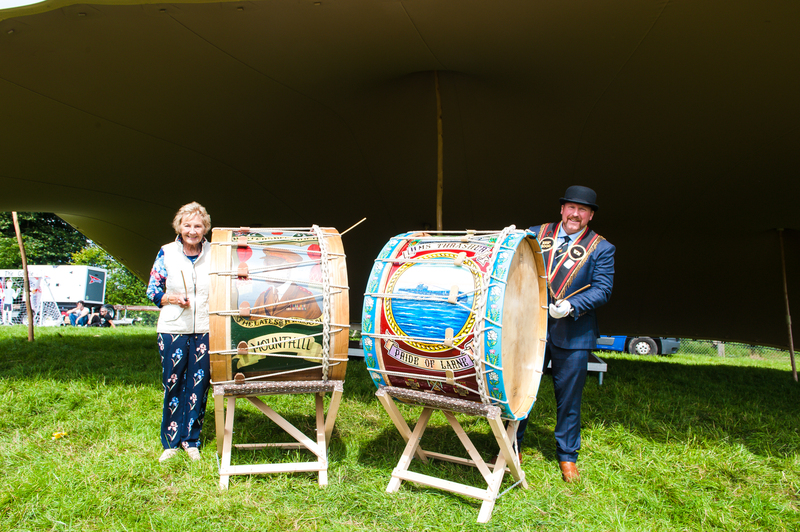 He said: “The Sham Fight is rightly regarded as one of the must-see flagship events of the summer and the parading season. It is truly a day like no other, and a wonderful occasion packed with music, pageantry, culture and history – a special event for the whole family to enjoy. 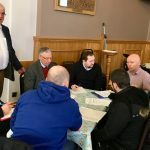 “The Sham Fight organising committee have once again put together an excellent event, supported by various statutory agencies, which continues to grow and develop. They are to be commended for their foresight, commitment and professionalism in maintaining the only re-enactment of its kind on these islands – and bringing history alive to a wider audience. 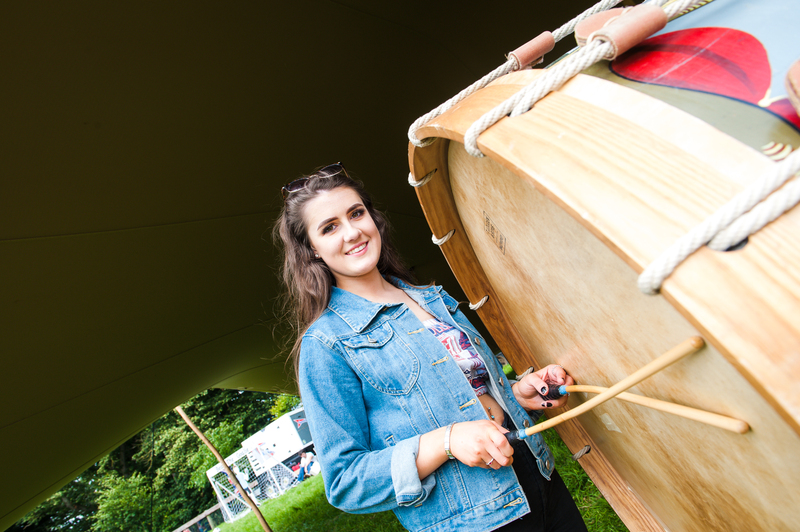 This year, the event will once again incorporate a cultural field, showcasing musical entertainment, highland dancing, information stands, and other activities for the many visitors to enjoy. The Sham Fight is also being held in partnership with Dementia NI, raising funds for and awareness of the illness. Charity volunteers will be among the crowds throughout the day. 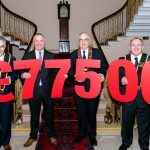 Worshipful master of RBP 1000, Craig Adair, said: “As a group of volunteers, we are immensely proud, as the Sham Fight organising committee, to provide and deliver one of the Province’s annual flagship events. Our planning usually starts the week after the previous one has taken place, and we believe this year’s Sham Fight and parade will be another memorable occasion. 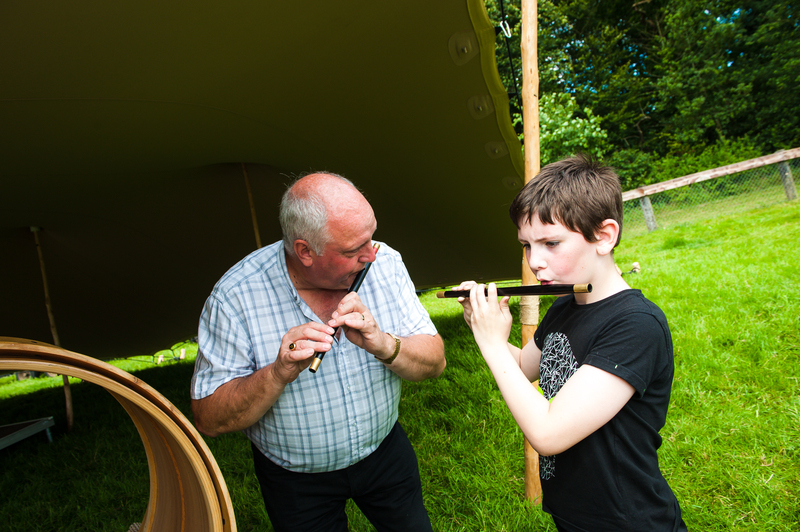 The Sham Fight at the Demesne is the only remaining one of its kind in Ireland. At the top of the field where the re-enactment is staged, is the chestnut tree where King William tied his horse on the way to the Battle of the Boyne and where his troops rested. King William is played by John Adair and King James by Colin Cairns. The main protagonists are accompanied by soldiers in period costume and a number of horses. The Sham Fight will be preceded by a large parade, with up to 90 preceptories and as many bands taking part in the procession through the village. Approximately 4,000 members of the Royal Black Institution will step out, accompanied by a wide selection of music, including flute, pipe, accordion and brass bands. 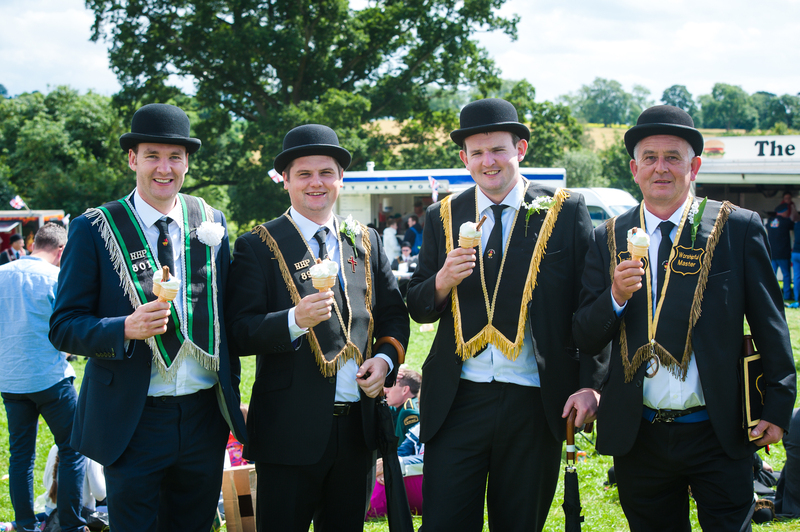 The main procession will leave the assembly field on the Gilford Road at 11.15am and proceed through the village to the Demesne. Tens of thousands of spectators will line the one-mile route to witness the spectacle. 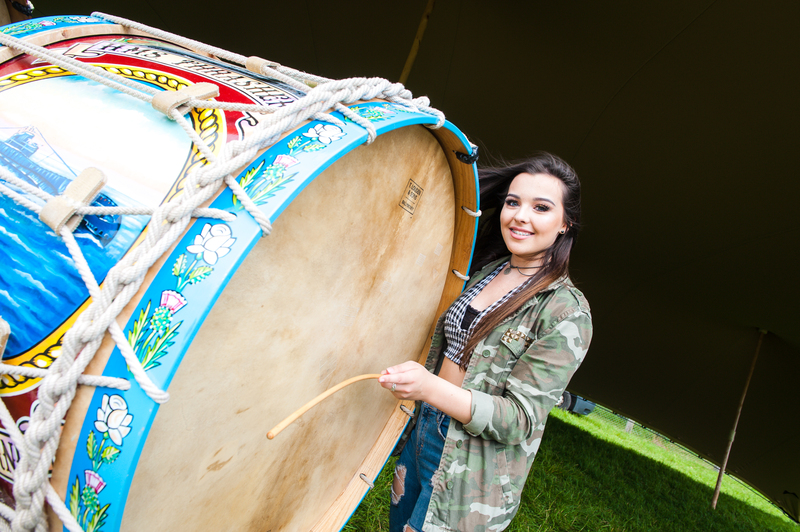 This year’s Scarva parade takes place on the centenary year of the Armistice. To commemorate the ending of the First World War, the procession will be led by soldiers and nurses in period costume. Throughout the day in the village, the soldiers will also read out extracts from diaries of some of those local servicemen who fought on the front line 100 years ago. Poignantly earlier in the day, members of Scarva Royal Black Preceptory will lay a wreath at the village memorial to local members of the security forces who were murdered during the Troubles. The Sham Fight will take place at 1.30pm, prior to the religious service, which is scheduled to commence at 2pm. Platform proceedings will be chaired by David Livingstone, County Armagh Grand Master. The worship will be led by Rev John Batchelor, County Armagh Grand Chaplain, and the preacher will be Rev John Noble. The scriptures will be read by Billy Scott, Imperial Grand Registrar. 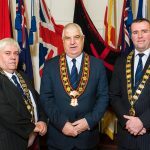 The resolutions will be read by Mark Diffin, County Armagh Grand Registrar, and they will be proposed by Rev William Anderson, Sovereign Grand Master. The praise will be led by Tullyvallen Silver Band. Mezzo-soprano, Emma Brown, will also perform during the platform proceedings. The return parade is scheduled to leave the Demesne at 3pm.